Neuman moved to Kennewick with his family in 1918 and attended Washington Street School and graduated Kennewick High in 1925. 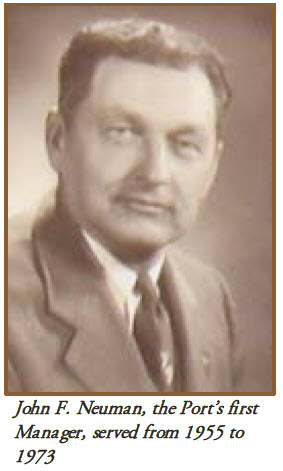 He became the first manager of the Port of Kennewick in 1955 and was the Tri-Citian of the Year in 1968. Neuman served on several boards, including the Boy Scouts Council, the Benton Franklin Counties Fair Board and the Washington Public Ports Association State Legislative Committee. He died in April 2005 at the age of 99. For more information, review The Tri-City Herald or Port of Kennewick 100 Year History.